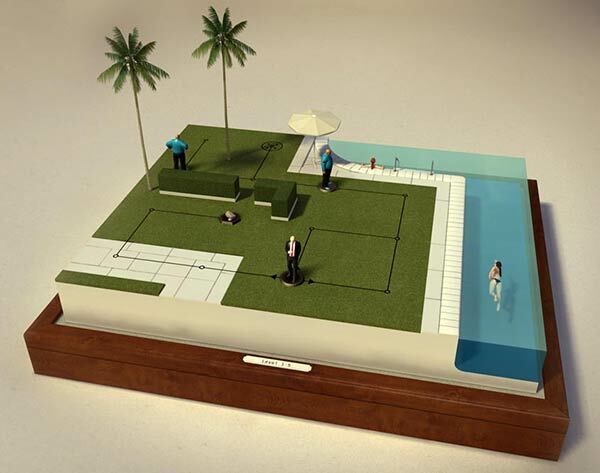 For better or for worse, Hitman Go left everyone surprised when it was announced in February that the next Hitman game was going to be a mobile title. We knew there were plans to bring the Hitman universe to our pockets but we never expected a totally new puzzle game. Using a really neat “diorama” art-style, you move Agent 47 across a board in order to take down your enemies and complete the mission. You have multiple ways of attaining your goal and to give it a more familiar setting, you can even use the classic weapons of the series like the Silverballers. It sneakily Soft-launched in Australia at the end of March, it has now been revealed that the worldwide launch is expected on April 17 for $4.99. It comes with 68 levels with more to come after release. It even contains a mission from Blood Money called “Curtains Down”. If you want to see some “killer” footage of the game just go to our forum thread here which is packed with it.